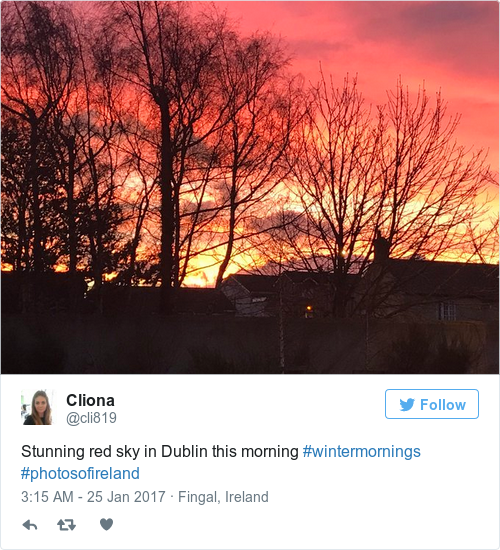 More so than usual, social media this morning has been awash with sky pictures of the sunrise over the capital. 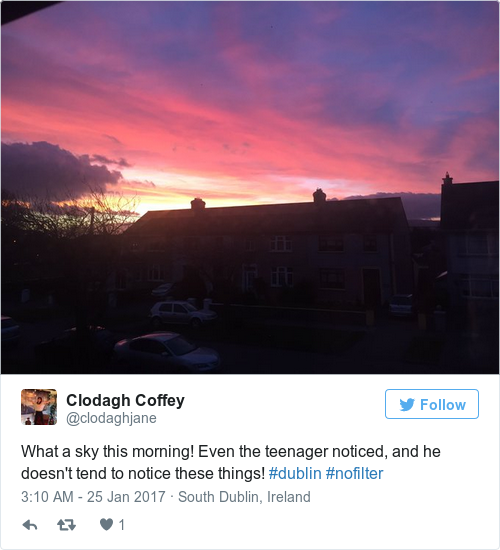 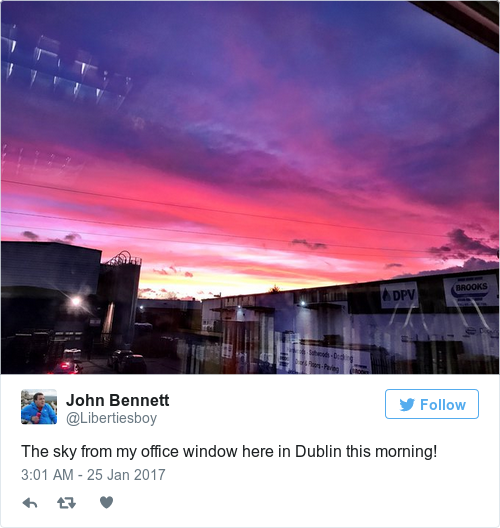 Email “People are raving about the gorgeous purple sky over Dublin this morning ”. 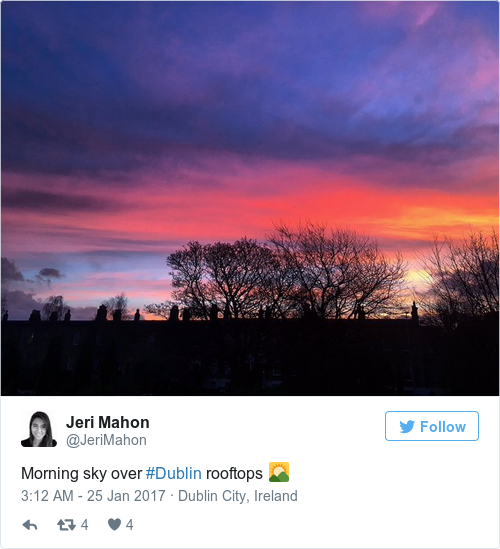 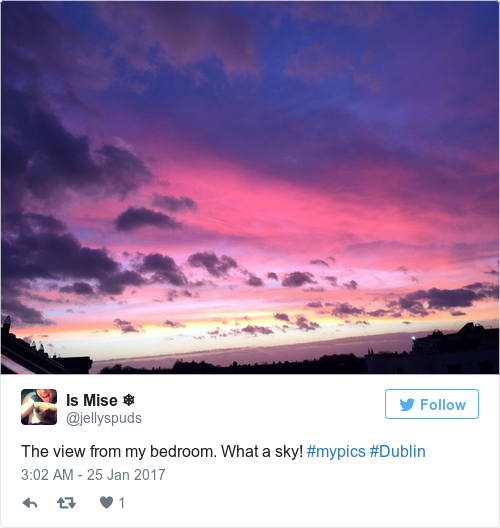 Feedback on “People are raving about the gorgeous purple sky over Dublin this morning ”.